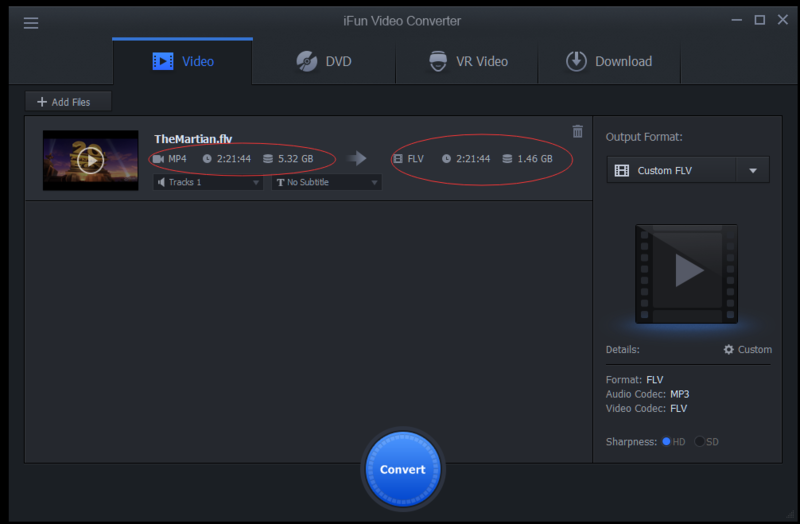 The first VR-3D video converter compatible with virtually all the VR devices Quickly convert 150+ video & audio formats to play on iPhones or Samsung/huawei Android phones,iPod and iPad,Apple TV,DVD player,Music player,PS3,Xbox etc. 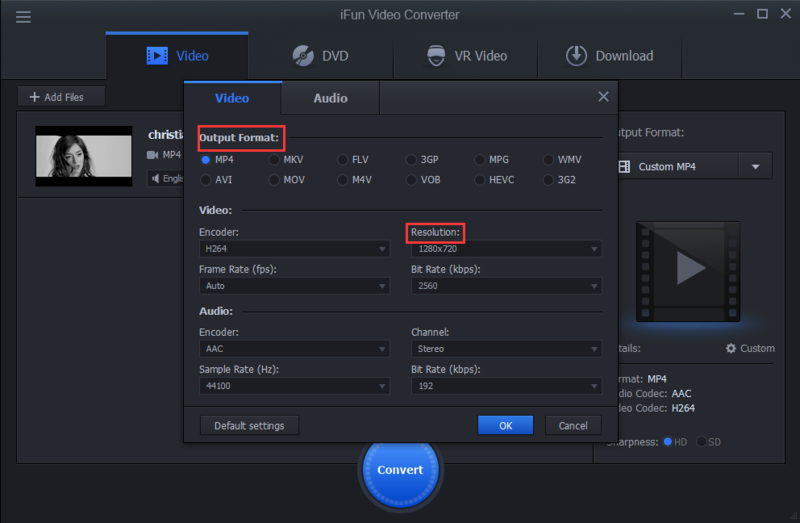 How to Compress and Make a Mp4 video smaller by Using iFun Video Converter? People find it will difficult to save all movies and videos in MP4 format on their PC or mobile devices. But it's not too late for you convert your video to smaller size format files or meke compress these moveis and videos smaller but still in mp4 format. The large amount of MP4 videos take up a whole lot space, though files in MP4 format are playable on almost all media players. No wonder many people ask for solutions to reduce MP4 file size in order to release their hard disc space or fit on the memory card for their mobile devices. 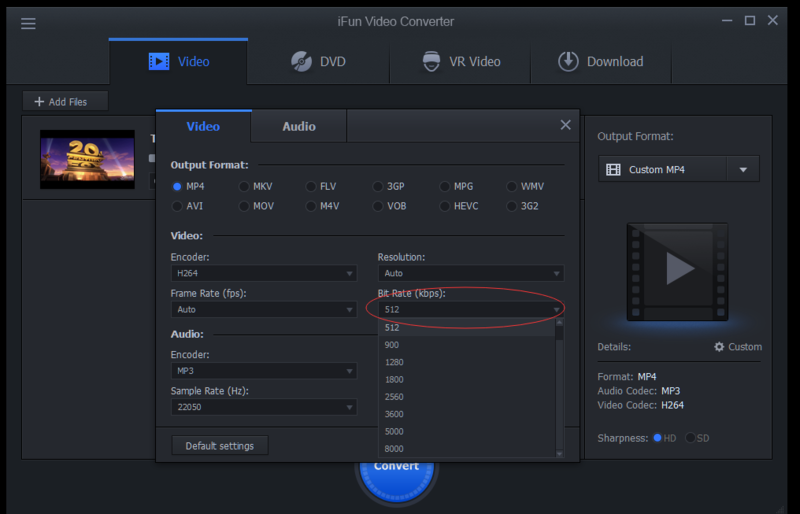 If you happen to be the one sweating over to find a reliable solution to compress MP4 video file, iFun Vide Converter will help you to do it. Some other reasons why you reduce your mp4 videos. Besides the abovementioned reason of freeing up your space by compressing MP4 videos, there're other 3 reasons why people are urgent to compress MP4 video files. 1. In spite MP4 is regarded as one of the best YouTube upload formats, the file with larger size usually gives rise to YouTube upload failure, not to mention slow upload speed. So you need to shrink MP4 down so as to share it on YouTube or Facebook faster and successfully. 2. Transferring MP4 video clip with smaller size to friends is much easier and faster than a larger one. 3. For a successful playback of a high-resolution video on a small-screen phone, you need to reduce and compress MP4 video for smaller size to fit the screen. 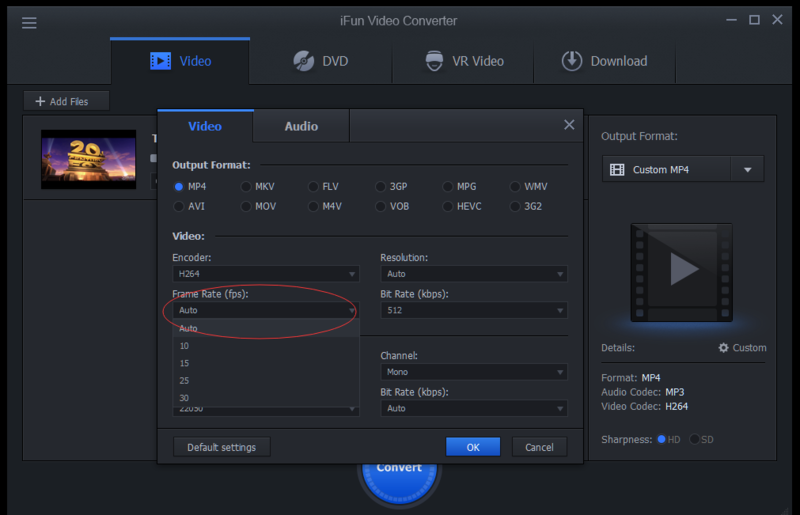 There are 2 main ways for you to compress & make a mp4 video smaller. You'll see the size difference between movie in mp4 format and movie in flv or wmv format.